THE THING: R-Rated Trailer! Not For Broadcast! 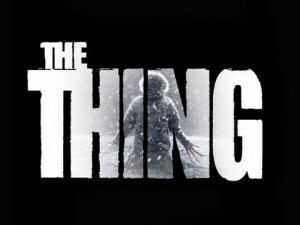 “The Thing” R-Rated trailer you won’t see aired on the networks! We have a special sneak-peek teaser of the the prequel to John Carpenter’s classic “The Thing” by the same title. It gives viewers a glimpse at the graphic special effects used in the movie. Watch it below. Don’t say we didn’t warn you! “The Thing” opens in theaters this Friday, October 14.